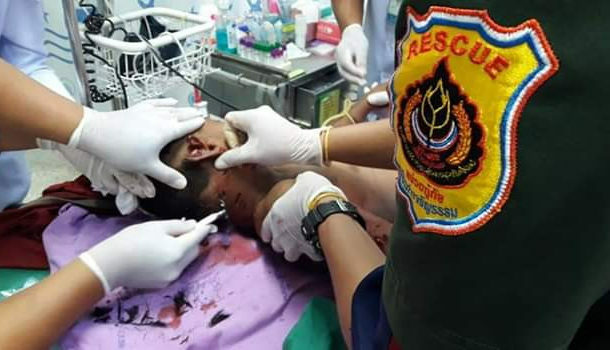 A seven year old boy is fighting for his life after being attacked by a pack of dogs on a Thai beach. The attack happened on Sunday, at the beach at Ban Tha Nun, Takua Tung district of Phanggna province in Thailand's south. The victim identified as Yeunyong Chaiyarap or "D-Max" was just out playing with his friends when the wild beasts struck. He was bitten all over his body and had an ear ripped off. The seven year old is "aware but under close supervision" said doctors at the hospital.